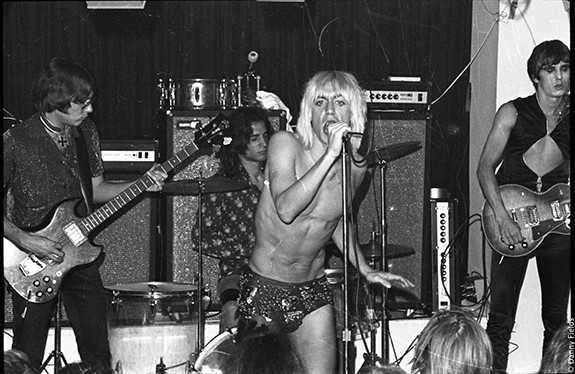 When the Stooges split up in 1974, they had every reason to think they’d be completely forgotten by history. … With each passing year after their breakup, however, the reputation of the Stooges slowly increased. When they finally reunited in 2003, they were able to headline massive festivals all over the world. So in 2008, Iggy approached filmmaker Jim Jarmusch about creating a Stooges documentary. Neither of them had any idea the project would end up taking seven years to complete and that, one-by-one, nearly all of the living members of the band besides Iggy would die while it was still in production. The end result is the highly moving documentary Gimme Danger, which opens up October 28th. Pop: I asked him. I think it had gotten to a point where I just felt the group needed and deserved to be the subject of a film by somebody who actually made films. I thought, “I know somebody. I’m gonna give it a pitch.” I guess I didn’t pitch him; I just said, “Would you make a movie about the Stooges?” He thought about it for a couple of minutes.